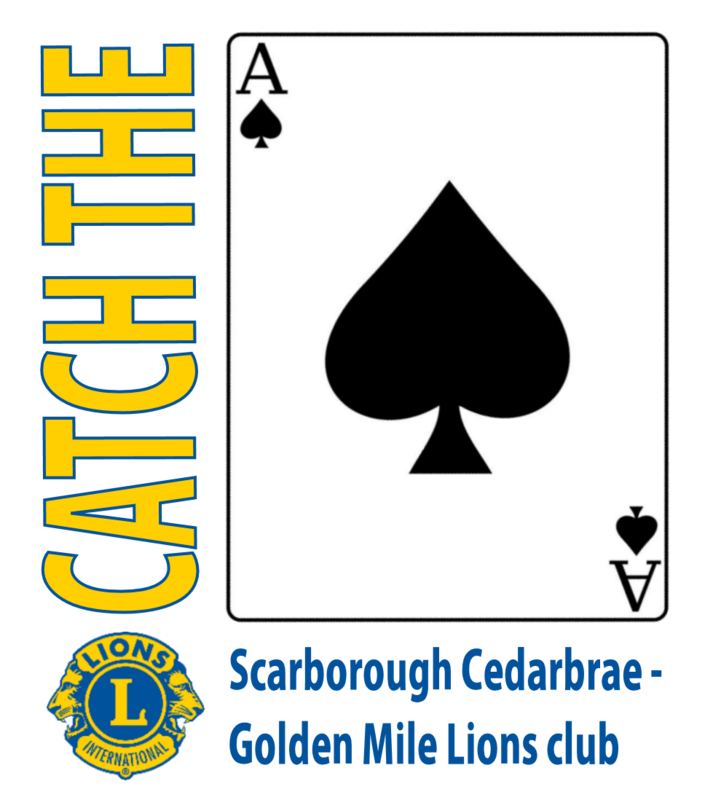 Catch the Ace, coming soon from SCGM Lions! We are working with the City of Toronto and AGCO to get ready to launch the first Catch the Ace raffle in the city! Their permit processes take a little time. But we are hopeful some time around the new year, we will be operational. Unfamiliar with “Catch the Ace”? It’s an exciting progressive raffle that is very popular in Canada’s east coast region. A Newfoundland Chase the Ace made national news in August, 2017, when the prize went approached $2,000,000. Each week, a limited number of tickets is available for purchase. The total amount raised through ticket sales gets split up, with a fixed portion going into a weekly prize and another fixed portion going to the jackpot. One weekly winner is drawn. That winner receives the weekly prize, and gets to draw a card from our deck. If they draw the Ace of Spades, they win the jackpot and the raffle ends. Otherwise, the jackpot rolls over to the following week. We throw away the card that was drawn, so next week’s weekly winner has a 1 in 51 chance of drawing the Ace of Spades. And so on, until the jackpot is won. To stay informed, please keep up with our blog or RSS feed. Or just get in touch!